It’s a strange culinary crown to wear, but one we Brits wear with enormous pride – the English breakfast is not only a source of huge national honor, but also fierce debate. Black pudding or not? Beans or no beans? Fried bread or toast? Less of a recipe, more an assembly of ingredients, but one thing is for sure – as with all simple dishes, the secret to success lies in the quality of ingredients. The history of the English breakfast starts a long way back, in the early 1800s where it was the preserve of the English gentry. As wealthy landowners, the gentry were champions of British tradition and patrons of the rural economy. Breakfast was an opportunity to show off local produce, in particular, the region’s meats, to guests and friends. Breakfasts were hearty feasts, showcasing the best of local cured meats, sausages, game and poultry – calorie-filled feasts were needed before a day’s hunting, or a long journey across the countryside. Later, as the industrial revolution swept the country, the full English breakfast became not just a meal for the wealthy, but also the working classes who’d charge up for a long day of manual labor with eggs, bacon, and regional extras such as black pudding, sausages, kidneys and hash browns. By the early 1950s roughly half of the British population started their day with a full English breakfast, turning what was once a meal for the nobility into a national breakfast dish. And what to drink with your English breakfast? English Breakfast tea of course. The English have been staunch tea drinkers since the 17th century when it began to be imported from China. 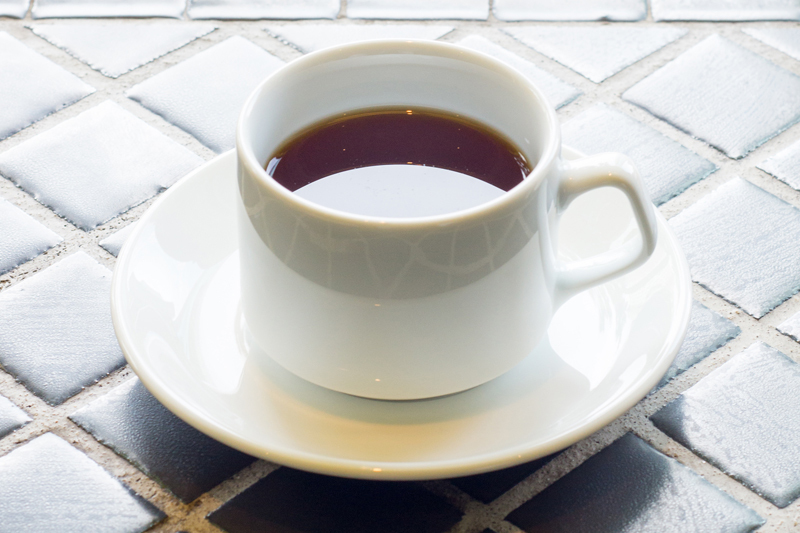 The morning cuppa is thought to be the product of a marketing ploy by a Scottish tea master named Drysdale. Until the 19th century, tea was an afternoon drink and so to boost sales Drysdale created a blend of teas from Assam, Ceylon and Kenya, and rebranded it as “Breakfast Tea.” It is this same blend that millions of Brits reach for every morning, today. The full English breakfast is now a global phenomenon, and can be found gracing tables of some of the world’s finest hotels and cheapest street corners. 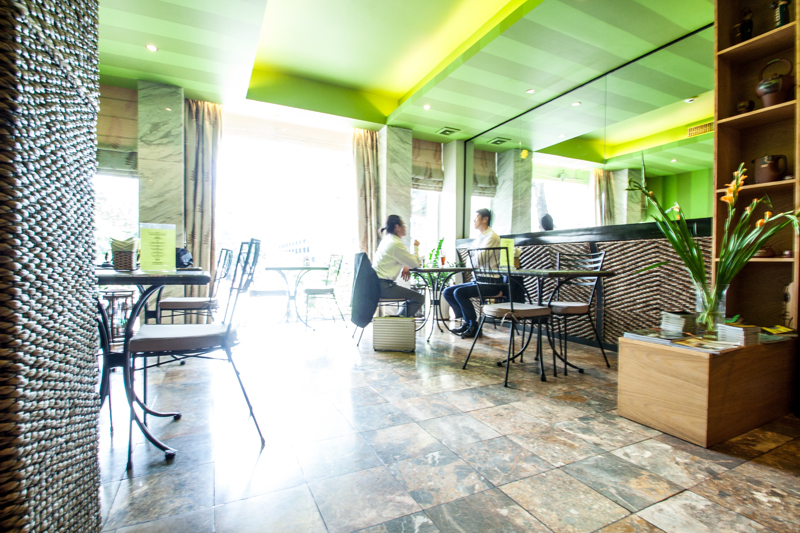 In Saigon, tea-obsessed Brit, Geoff Hopkins has opened a shop and café to showcase his own take on Britain’s two most-loved culinary traditions. Hatvala is a product of Geoff’s extensive research into Vietnam’s finest teas. He has scoured the country to unearth Vietnam’s little-known tea farmers, and discovered a wealth of high-quality artisan producers, who now supply his café and beyond. As a result the tea menu at Hatvala is rather more exotic than your local greasy spoon, but makes a welcome change from your average tea bag. There are wild teas such as the Wild Boar Black Tea from Yen Bai, fragrant Jasmine scented green tea, and a delicious floral Oolong tea from Moc Chau, all of which are brought to the table in their own percolator with a sand-timer to ensure it’s brewed for just the right amount of time. Geoff is similarly obsessed with his coffee, all of which is sourced in Vietnam and roasted on demand. 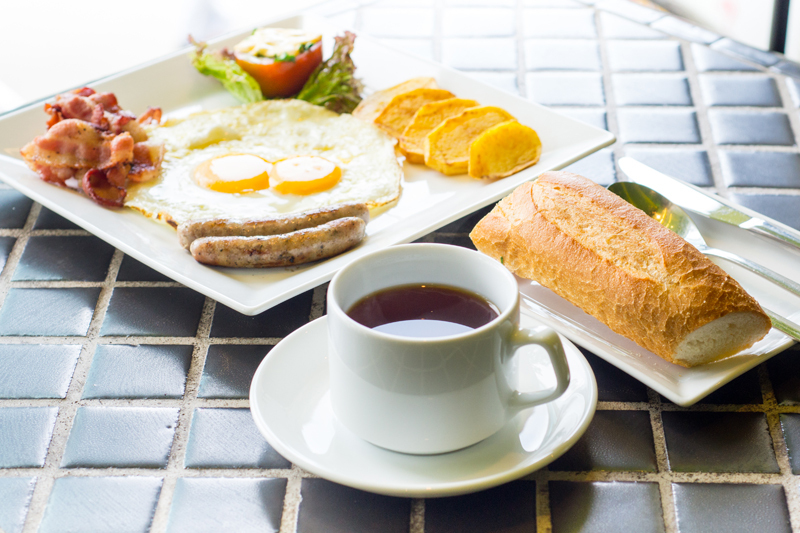 And as you’d expect, true to his English roots, the English Breakfast (VND99,000) on the menu is an authentic feast – eggs of your choice, served with lashings of bacon, sautéed potatoes and in keeping with tradition, delicious sausages from high quality local butchers, Cochon D’Or. Packed with flavor and a subtle peppery heat, these classic English bangers made from only the highest quality pork, they are as good as anything you’d find in the UK. Nothing says home like a full English, and even better when it’s made by someone as proud of it as we are. The England’s old landed gentry would be proud. Virtually every English breakfast here seems to be served with that disgraceful crispy, fatty bacon. An English breakfast needs traditional back bacon, without it, its not an English breakfast! Also, I’ve never seen an English breakfast come with a baguette!